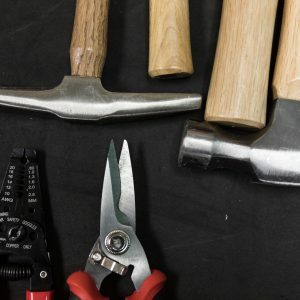 Experience the MakerLab, where you can discover, design, and create products that foster your imagination and creativity and solve real-world problems. 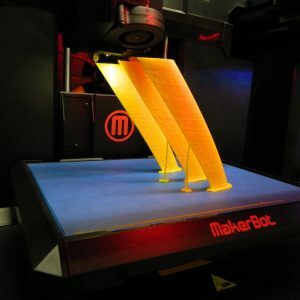 The MakerLab includes the first MakerBot Innovation Center in the west, an array of 20 3D printers, plus tools and electronics for you to explore your creativity. 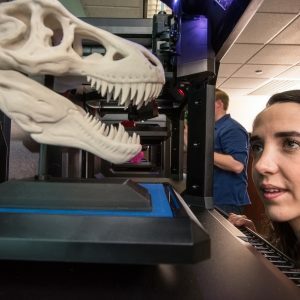 The MakerLab was funded in part by the Arizona State Library through a Library Services and Technology Act grant award administered by the Institute of Museum and Library Services. Discover, design, and create products that foster your imagination and creativity and solve real-world problems. Visit the MakerLab Use Policies to learn more. The MakerLab is available to all NAU and CCC students, faculty, staff, and members of the public. The MakerLab room is open all hours that the library is open. However, the MakerLab Help Desk has limited operating hours. You can make an appointment with a MakerLab Assistant to get help with any MakerLab services. The primary purpose of the MakerLab is to provide an open, publicly-accessible space for making-related activities. As such, we do not reserve the MakerLab for exclusive use by a particular group. Groups are welcome to hold events in the MakerLab, but the room will remain open for others to use as well. 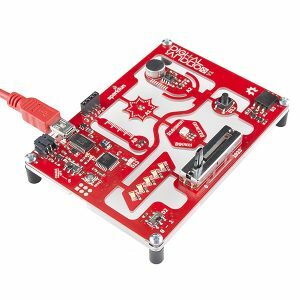 Exceptions to this policy will be made on a limited, case-by-case basis for events that directly support the mission and purpose of the MakerLab. If you would like to hold an event in the MakerLab and would like to have it listed in the Upcoming Events section of the library website, please contact us.